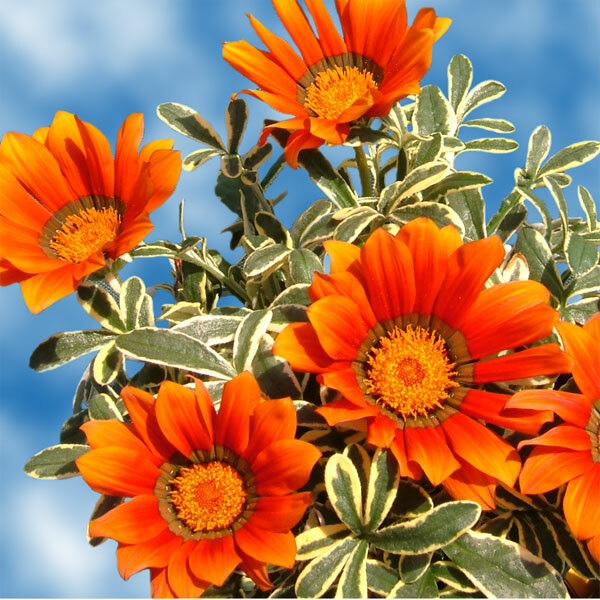 Flaming orange flowers with a darker centre cover the plant. 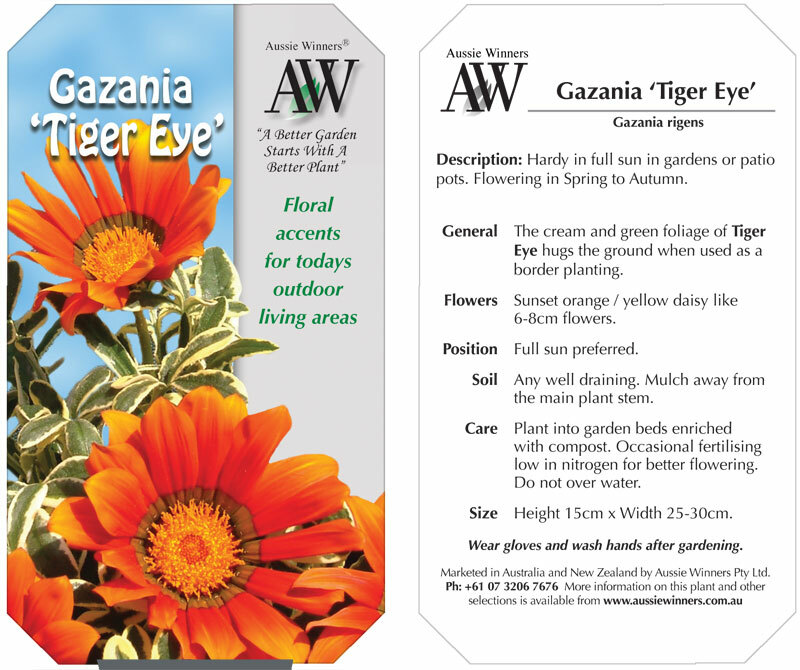 With good preparation of the ground before planting little extra needs to be done to grow 'Tiger Eye' well. Make sure that the soil is not too rich in nitrogen for better flowering. After the flowering season has finished, it is quite easy to put cuttings into small pots, root them and hold in a sheltered position for planting in the following season.